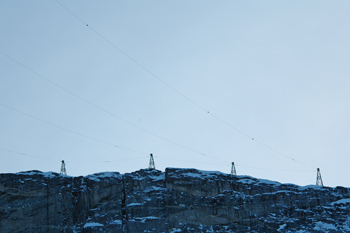 The longest single span in a transmission line in the world is found in Greeanland. We've already talked about the longest transmission line in terms of circuit kilometers on this blog entry. This is for the distinction in a single span. Ameralik Span. This is what it is called. 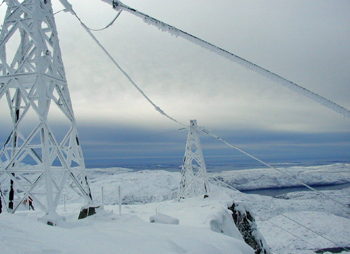 It is a 132 kV powerline from Nuuk to Buksefjord Hydroelectric Power Plant over Ameralik fjord with a span of 5376 meters. It was built in 1993 by a Norwegian company Statnett. 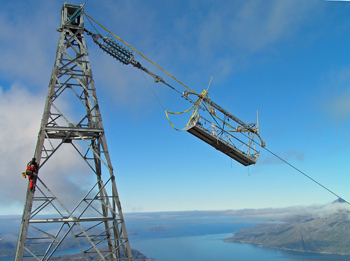 It is part of a single-circuit 132 kV powerline running from Buksefjord hydroelectric power plant to Nuuk. It is made up of of 4 steel conductors with a diametre of 40 mm. One of the conductor acts as a backup. It is unique in the sense that each of the conductor has its own tower. Each tower at its North End, is estimated to have an elevation of 444. 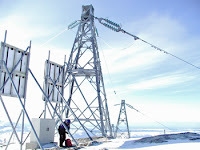 Its other end (South End) is estimated at 1013 metres above sea level.